I believe the story is basically that the main character was immersed in a VRMMO, and when they took the helmet off, their world had already been infested with a zombie outbreak. Now he has to survive. Same author as Outbreak Company and Bluesteel Blasphemer. (Note the appearance of another character with glasses and short black hair, + there are guns in the book too). When I was withdrawing and playing the VRFPS game, the world was perished in no time! Zombie panic thing called. I have not had much opportunity to touch such works, but it was really funny. A hero who is familiar with guns and military families and a heroine familiar with zombies cooperate and like to expand survival. Volume 2 is releasing shortly. The Zombie media saturation didn't reach Japan very much so I'd actually be interested in reading something like this. It sounds like it is like touching on all the VRMMO stories & rejecting it in favour of the real world, which is kinda cool. Also the waking up in a different world than the one you left (vrmmo instead of sleep) is kinda isekai-ish, so it's like nodding to two popular somewhat overused settings and going with neither. There's a great nonfiction zombie book that came out of Japan. Don't know if you've checked it out, but it has fun manga drawings in it. There was a bit of a craze with School Live, HS of the Dead, and I Am a Hero, and obviously there's a good deal of zombie games in Japan (Resident Evil, House of the Dead / Typing of the Dead, Dead Rising). LN maybe not as much (there was that one that was based on an adult VN, Only I Am Not Attacked In A World Overflowing With Zombies). Given that I've enjoyed pretty everything I've read from the author I'll give this an upvote. 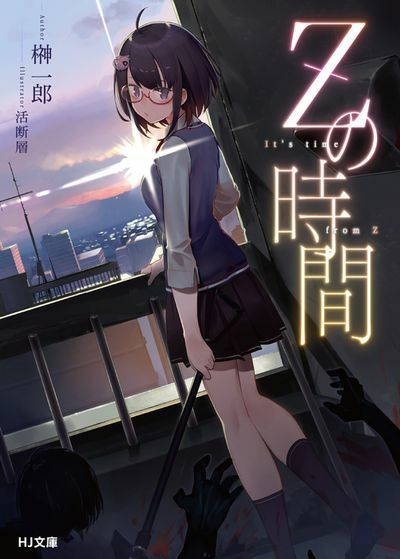 Volume 2 released in September of this year, though the author is really active and busy since even then (3 new volumes pop up on Bookwalker for 3 different series since this released). Always makes me nervous when an author has so many series he's juggling, like the Neechan author to a lesser extent. I’ve been getting back into Outbreak Company - and man that author can write well and also tease a lot of interesting angles out of a theme so I’d be way down for this one.